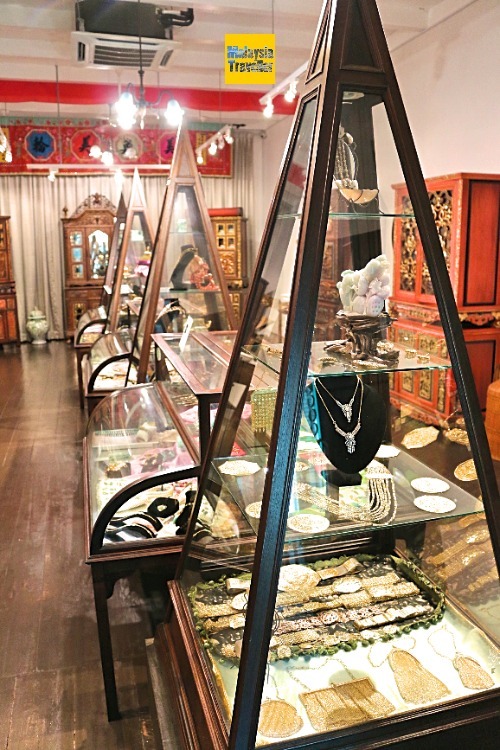 The Straits Chinese Jewellery Museum Melaka contains a fine collection of rare and skilfully crafted traditional gold and bejewelled pieces which were much loved by the Nyonya communities of Malacca and other south east Asian cities. 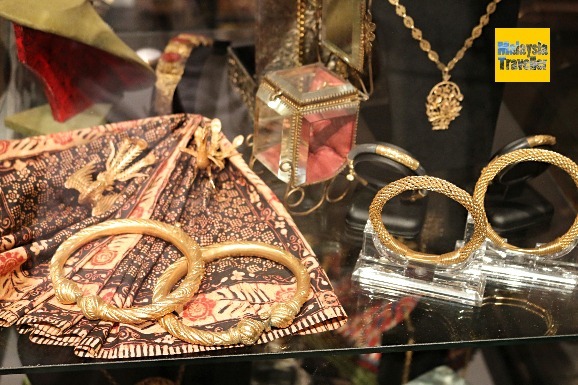 The jewellery fills one large room upstairs. 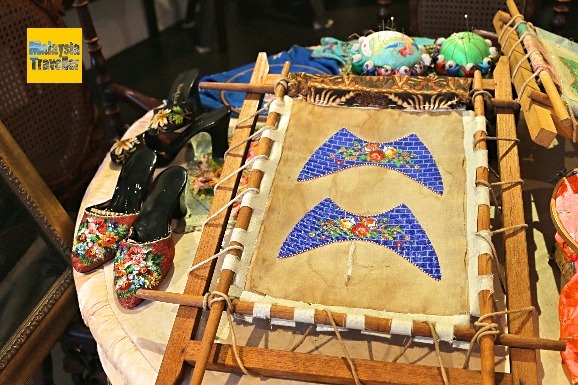 Other sections exhibit the skills of craftsmen in jewellery making but also in bead work for items such as the highly decorative beaded slippers for which Melaka is famous. 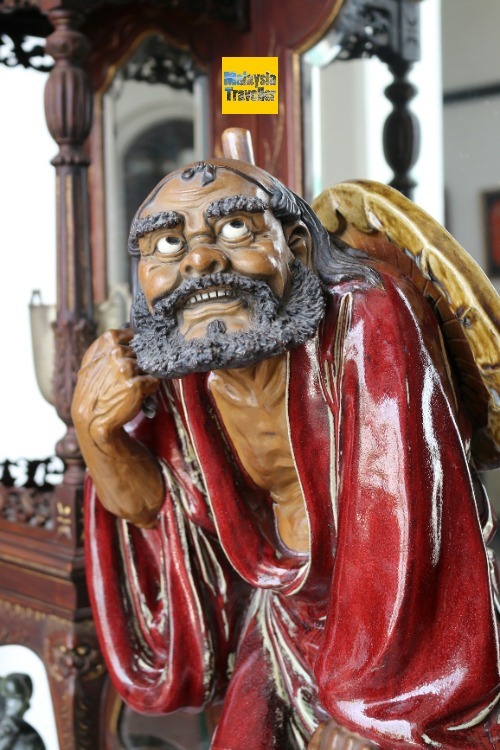 Elsewhere you can see the hall where the family’s ancestors are remembered and honoured, the private dining areas, the ornate furniture and valuable antiques, decorative pieces and ornaments. By the way, if you are interested in buying some beaded slippers or even a pair of traditional bound feet shoes you can find some at Wah Aik Shoemaker at No.92 Jalan Tun Tan Cheng Lock, just a short distance from this museum. I bought a pair of bound feet shoes from this shop many years ago when it was located in a different street. I wrote about it on my blog. 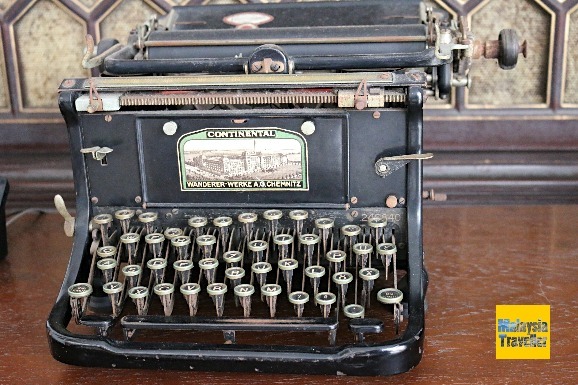 The museum is housed in a century old heritage shophouse built in the eclectic style. 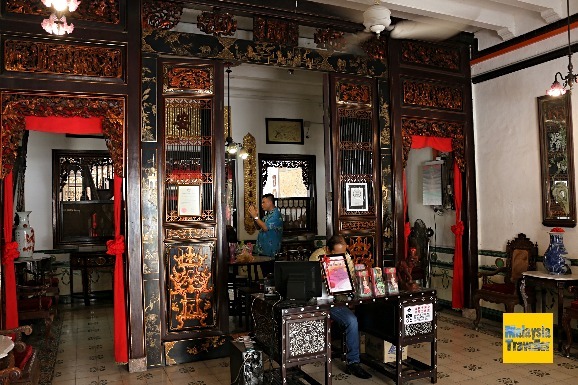 The building itself is not as big or as grand as the nearby Baba & Nyonya Museum in the same street but it has a similar layout with a deep building behind a narrow frontage with inner courtyards and airwells and rooms separated by elaborate wooden screens. The building had been in a state of decay until it was rescued and restored to its former glory. Monday - Thursday open from 9.30 am to 5 pm. Friday - Sunday open from 9.30 am to 6 pm. Child below 6 years - Free. 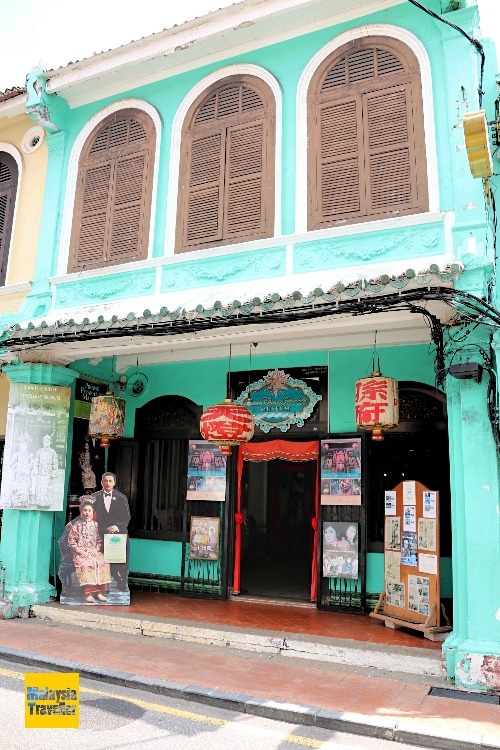 This is the only Nyonya jewellery museum in Melaka - there is another one in Penang. 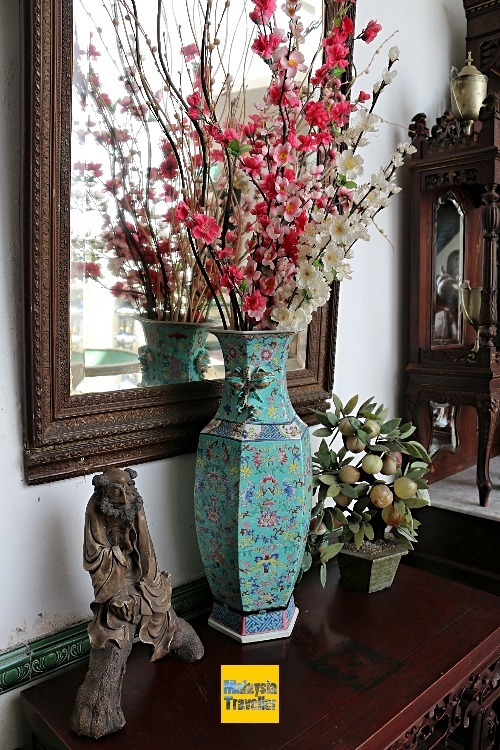 Not only is the jewellery very attractive but it is also a pleasure to tour around the fascinating house and see how the wealthy Peranakan community lived in style and comfort. If you want to experience staying in one of these vintage heritage town houses you could check into the Hotel Puri just a few doors away in the same street. I stayed there once and can recommend it (here was my write up). 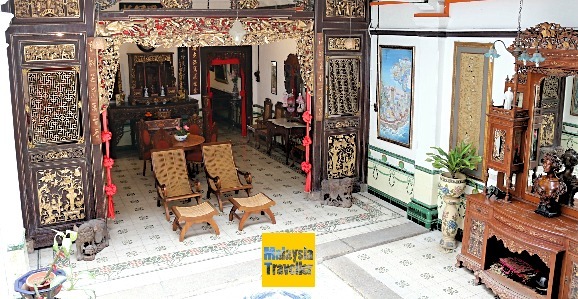 This museum is in the heart of the old city with so many of Melaka’s top attractions within close walking distance. 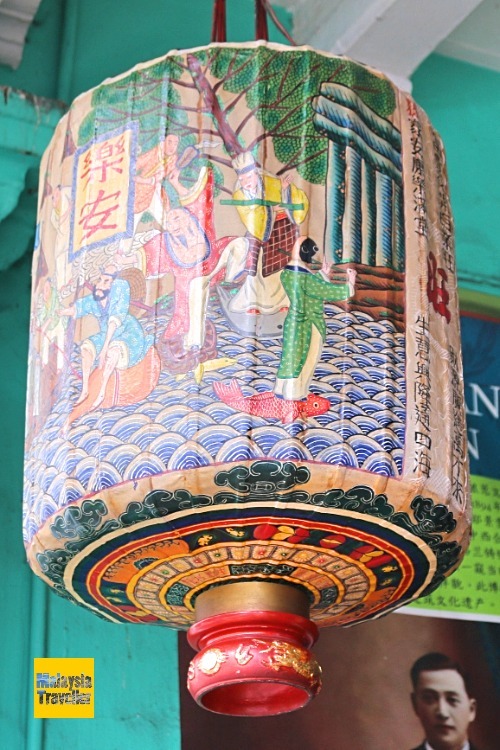 Take my self-guided Melaka Heritage Trail to see most of them.